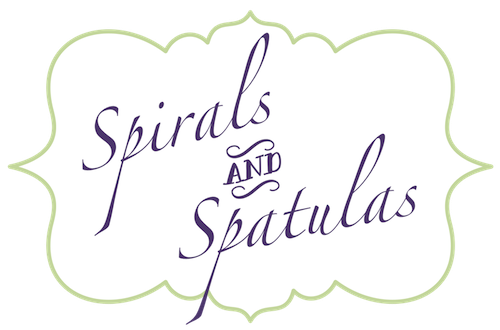 Spirals & Spatulas: Blog Awards! 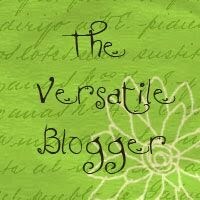 I used to refuse to participate in Blog Awards. I think I felt like it was lazy to waste a post answering questions from a Blog Award rather than come up with something interesting and insightful to write about. But since my blog is tending towards somewhat-less-than-insightful lately, and since I've recently been given some Blog Awards by some of my favorite blogger friends, I decided to go ahead and use one post (just one!) to pass the Blog Awards along. 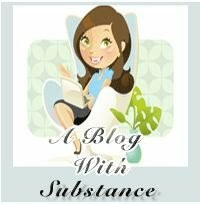 First, there's the "Blog with Substance" award. Thanks to Laura @ The Luckiest in Love! 1. Real - Rather than attempting to present some sort of cutesy-newlywed-perfect-little-wife image, I try to make this blog reflect my reality as much as possible. Which is why I share things like the wart on my ring finger and how I figured out to pee by myself in a wedding dress. 2. Creative - I love being crafty and creative. Inspiration boards, wedding DIY projects, home decorating... I love them all! And I love sharing that with my blog readers! 3. Connections - I love it when people leave me comments, and I try to comment back and make "blog friends." It makes me happy! 4. Style - I feel like I'm finally developing my own little blogging writing style. Writing in this blog is so very different from anything I ever did as an English major, and I love it! 5. Surprises - My favorite thing about blogging is how my readers surprise me. I remember the first time I found out I had a reader in Taiwan - I was just shocked! 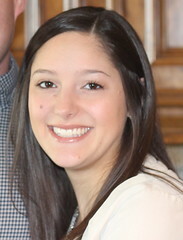 And when I posted asking for help with planning our spring break trip, I was thrilled with the unexpected amount of comments (speaking of which, announcement on the spring break trip plans COMING SOON!). 9. Jacin @ She Said Yes! Next up... The "Versatile Blogger" award - Thanks to Nikki @ The Fashionable Wife and Lindsey @ The Amateur Wife! 1. I paid my way through college teaching middle school kids how to play the clarinet. Now that I'm in law school, I miss that job nearly every single day. Those kids were the best. 2. I'm a really picky eater. I try not to be, because I really like the idea of being cultured and eating at cool places, but I can't help it. For example, we made mole chicken the other day, and I thought the mole sauce tasted like dirt. I had to rush to grab a glass of sweet tea to make the taste go away. 3. I kind of hate law school. People always ask me "how's law school?" and I usually respond with something like "Oh it's going good...It's a lot of work, but I'm enjoying it." Really, I want to say "Horrible. I hate it. At least twice a week I seriously consider dropping out and opening a bakery instead. Or maybe a book store." But you can't say that to people. 4. When I was a kid, I went through a phase where I really enjoyed growing herbs. Like, my parents bought me books on herbs for Christmas. I had pots outside with my herbs. But now that I'm a married woman and could actually use some fresh herbs, I just don't feel like it. 5. I lived in London for a couple years as a child. Yes, I had an accent. Yes, I can sort of still do it. To make this even weirder... Jeff's family lived in London too during the same exact period of time, in the exact same area. But we didn't meet because Jeff went to the American school and I went to an actual British girls' school. 6. I'm afraid of getting water in my face. I hate water skiing, and log rides terrify me. I love being at the beach, or at the lake, and I can swim and stuff, but if there's a chance that my head will get wet unexpectedly, I'm not okay with it. 7. I love grocery shopping. I find it relaxing. Something about all of the organized aisles makes me so happy. Before I was in law school and had no time for such things, I used to go grocery shopping just for fun every now and then. I'm supposed to pass this along to seven people... but let's just say if you were one of the ten above you can be tagged for this one too, kay? And then there's the "Stylish Blogger" award - thanks to Nikki @ The Fashionable Wife! This one has the same rules as the previous one, and I'm pretty sure no one wants to read ANOTHER seven facts about me, so we'll just pretend those above seven are for this one too. Done and done. If you could live anywhere in the US (and have your family/friends/job there) where would you choose? I love Texas. I'd never want to go anywhere else. I used to say that I'd rather live in Dallas than Houston, but recently Houston's really growing on me, so I think I'm really happy right where I am! How did you meet your significant other? High school band. I actually met him at a band lock-in at the beginning of my freshman year. He was a junior, and my best friend Lindsey instantly had a crush on him. I told her I didn't think he was really that cute. Ha. What's your favorite trip/vacation you've taken? Oooh I have two. (1) St. Thomas in the Virgin Islands. SO beautiful and relaxing. (2) Niagara Falls. I thought it was just breathtaking, and I'd love to go back! Who do you most look up to? My grandmothers. They're both such strong, loving women. They're filled with faith, and between the two of them they raised nine wonderful kids. They've both been through some really tough things, and some really great things, and they just amaze me. What's your favorite holiday and why? Christmas. I love all holidays, but Christmas is my favorite because it's the perfect combination of festive-ness and religious importance. Who is the person who knows you best? Jeff. Of course. He could probably answer these questions better than I could. What do you do for a living? Is it what you pictured yourself doing? Well, right now I'm a law student. So I basically live off of my husband's salary. I've pictured myself doing so many things throughout my life, so I can't really answer the second part of that. But I've always thought I'd end up in some sort of graduate/post-undergrad school, so I guess yes! What's one thing that brightens your day without fail? Getting phone calls from my little sisters. They're such beautiful people, and they just make me smile all the time! 2. How did you meet your significant other? High school band. See above. 3. If you could travel anywhere in the world, where would you go? Not counting places I've already been (I went to a TON of European places while I lived in London), New Zealand. I've always wanted to go there. 5. If you didn't have to worry about money, what would be your dream job? I'd love to own a bookstore. Preferably a children's book store. 6. What is one thing that never fails to make you feel better after a long or hard day? Cookies. Or hugs from Jeff. 7. What is your favorite thing to cook/bake? Ahh so many choices!! I'm going to have to go with the first thing I ever felt like I was truly good at making - pumpkin pie. I learned from my grandma, and I can make a DELICIOUS pumpkin pie. 8. And since I am the Fashionable Wife, what is your favorite thing in your closet? Ooh, tough one! My black Gap flats. I wear those shoes at least four times a week. 2. What's one goal you have right now? 3. Picture your dream house. Tell me three things about it. 4. Are you more outgoing in the blog world than you are in real life? 6. Describe your favorite meal (complete with dessert and everything!). 7. What's the hardest thing you've ever had to do? 8. What's one funny memory you have from high school? that is so amazing that you lived in london! and even more amazing that jeff lived there too! umm...whoa. I loved reading your answers! Sorry you don't like law school... I know how you feel about saying you love something, but inside you despise it (Its work for me). Lets just start a bakery/ bookstore together cause I'd love to do those too! Although, I cannot be in charge of making cookies, as I apparently have no talent for cookie making.